Well its now time to get cracking. I have contemplated getting these lovely lads out and re-basing for To The Strongest for quite some time however I have a tendency to be distracted! Who would think that we wargamers lose focus as we do? These chaps have been painted and waiting in a box to be called upon to defend the Republic for close to fifteen years! 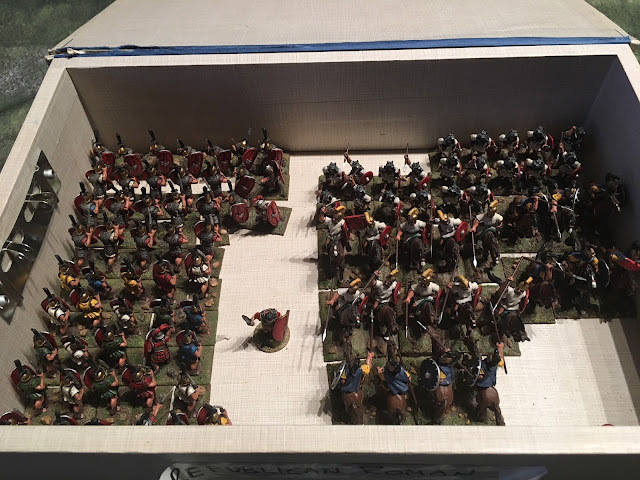 A quick look at the lists and the figures I have reveal that I made need a few more of the Old Glory 25mm Triari figures. I have to say that though Old Glory can at times be a little bit hit and miss, they are well priced and their ancient figures seem to be the very best of the lot. These particular Republican Romans/Polybians are absolutely top shelf sculpts. 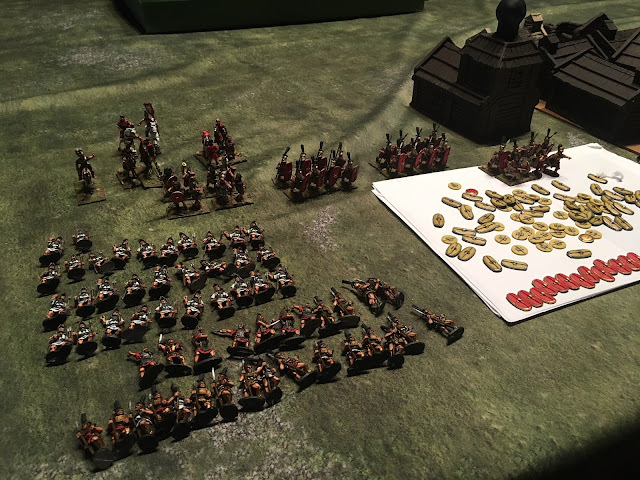 Wow, so many beautiful units, love the hoplites! Thanks Phil. Yes the Triari look fantastic and are a really good sculpt. You don't want to keep these gems in the box for too long! Happy basing Carlo. Absolutely James. I will keep you posted on the outcome mate. In a box for so long? Figures as lovely as that. It is quite a flogging offence Paul I would venture that. Great to see them about to get a nice run now though. Yes Nathan you absolutely do. Just ordered in my 6mm tufts and am getting ready as soon as Steve gets me some suitable bases. Gorgeous figures, getting better with age until the right moment arrives to base them! Like a fine cabernet sauvignon Iain! I find that once OG figs are painted and up on the base, they work just fine. 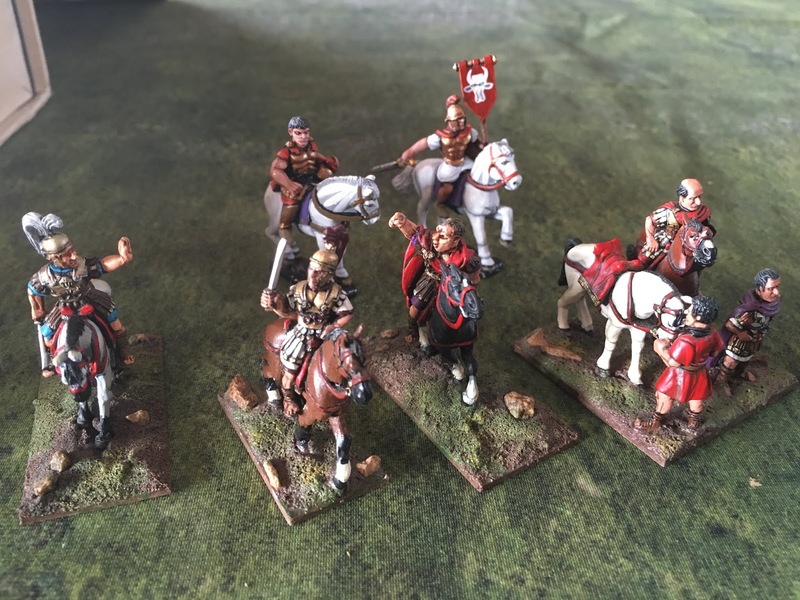 Absolutely correct FBM - they do paint up very well, especially in the ancients range. Now that is interesting Mark. Have you posted any pictures of them on your excellent blog yet? What does the ADLG rule set acronym stand for? ADLG = Art de L'Guerre, popular set of rules now, especially for competitive play. Your Romans are looking very fine, Carlo! 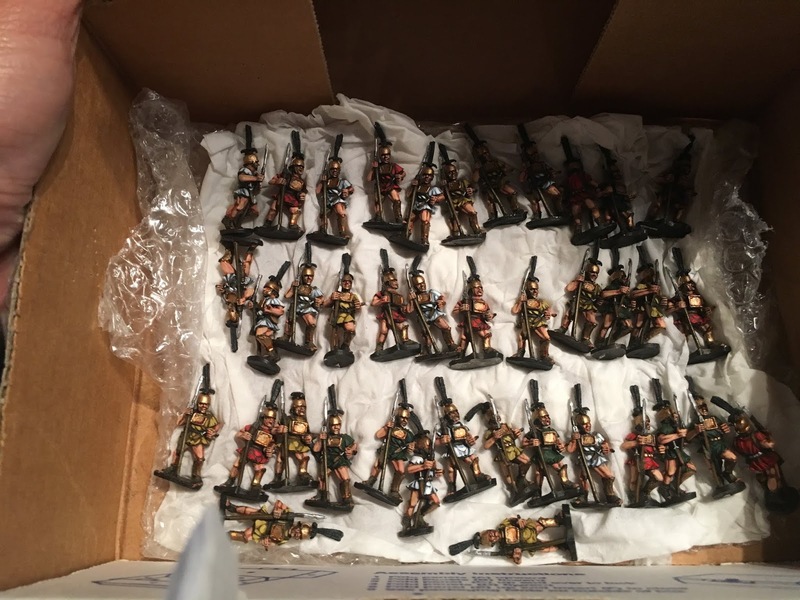 About those Triarii... well, it just so happens that I have 30 Old Glory Triarii (and 20 Polybian Command) on hand, and have literally just started to paint them (just the armor done). There are more than I need, but I had them, so what the heck! :-) I would gladly let you have a few for the cost of postage. Drop me a line (Gonsalvo AT aol DOT com). You are a true gentlemen Peter. Looks like I'll have to wait until next week to put them in the mail - too much last minute Historicon preparation! Too easy Peter - it’s greatly appreciated. Enjoy the big show! Ugh, rebasing is so much work. Good luck! Thanks again Stew - yes it can be a nightmare however I have rebased so often it now is far easier. The key is white glue and never araldite for fixing figures to bases. Also never steel or tin but knifeable MDF. Great looking figures - most worthy of the rebasing effort. Love the false Corinthian helmet too! They really have gotten this range right Dean and they OG figures do paint up very well.